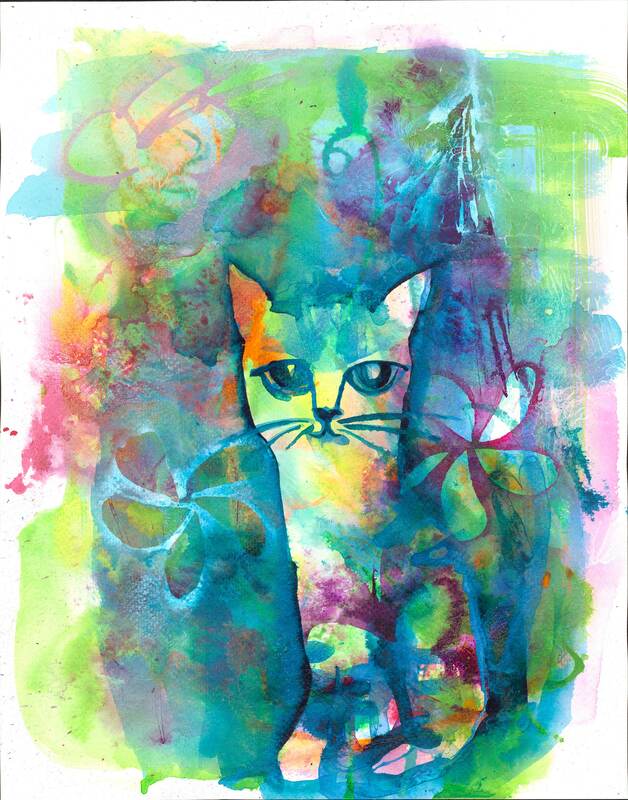 🐱 "Popoki" is an archival fine art giclee print from my original watercolor painting. 🐱 Meet little Popoki. Popoki is Hawaiian for 'cat' and was the perfect name for this sweet kitten. 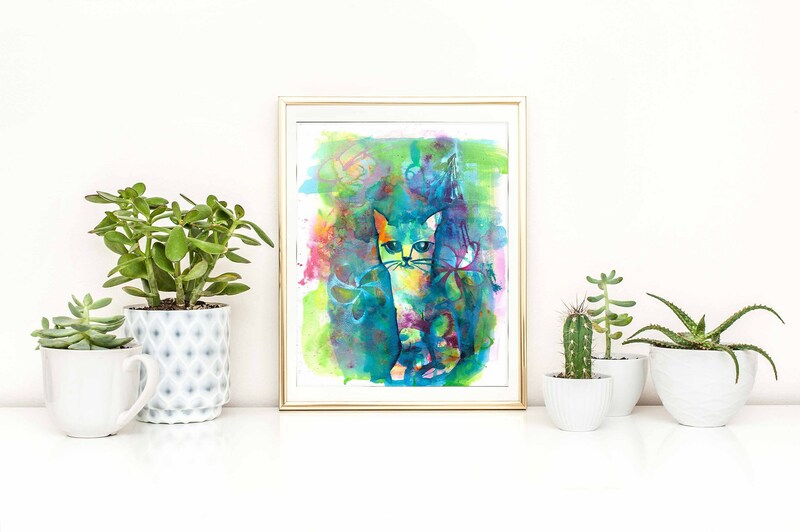 She emerged intuitively through a wash of color and plumeria...most likely inspired by my own tiny tabby kitten (who is now a not so tiny tabby cat!). Popoki is available in a variety of sizes for the cat lover (you?) in your life. ✳️8x10 comes with white or black mat, ready for an 8x10 frame. Image size is 5x7. * Print comes unmatted and unframed.